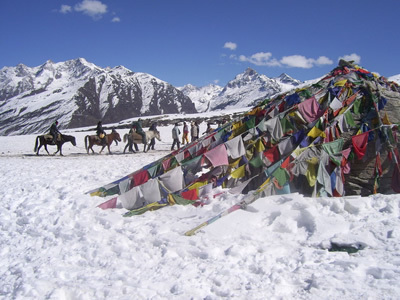 For those wanting to explore the Himalayas, this tour will showcase some of the best mountain destinations of Himachal. Nalagarh rises above a 10 acre estate of forest and orchard built on five levels, three of which have well manicured green areas. Shimla at an altitude of 2130 meters is an utterly charming hill station in India & has been a favorite since British troops set up camp here in 1819 at an altitude of 2130 meters. Enjoy the beautiful ride on the mountain mini train. 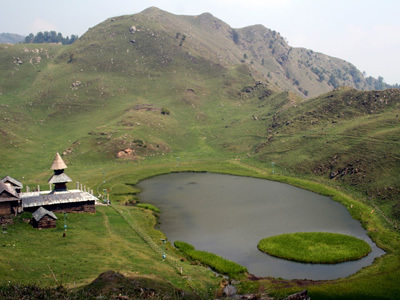 Enjoy the scenic beauty of the place with the Mall and Ridge being main attractions, climbing beyond Scandal point & Ridge beyond Shimla at 2 kms walk to the Jakhoo hill, with a panoramic view of Shimla & Hanuman temple. 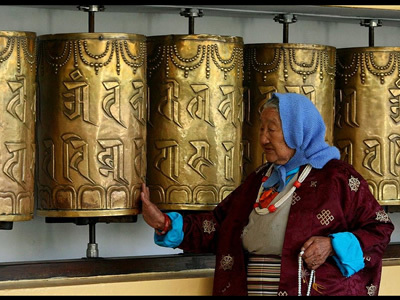 Visit Mcleodganj, Dalai Lama monastery, Bhagsu water fall. After lunch drive to Taragarh. Visiting the monasteries and temples on the way to Taragarh Palace & explore surroundings the paddy fields, tea/coffee plantation, monasteries and breathtaking surroundings. 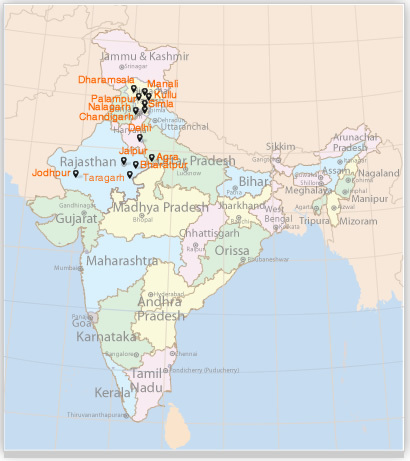 Taragarh is situated on a forested estate surrounded by the splendour of lush tea estates, in a 15 acre forested area. 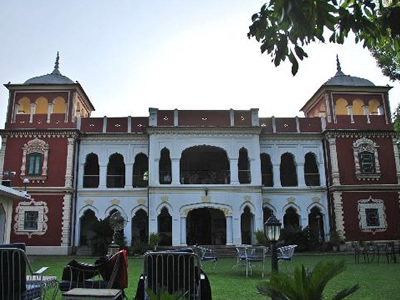 Located at an altitude of 3,400 feet above sea level,the palace is at the foot of the Dhauladhar Mountains, offering a splendid view of the surrounding snow-capped peaks. 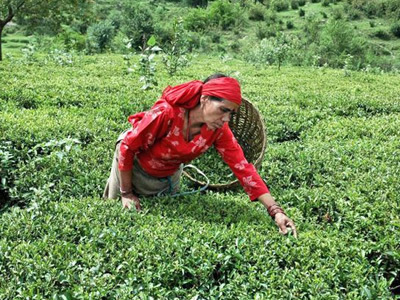 Palampur is the tea capital of northwest India. Set on the rising slopes of Kangra Valley before they merge with the Dhauladhar ranges. 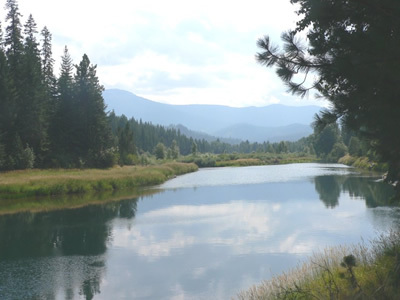 The town has derived its name from the local word "Pulum', meaning lots of water. 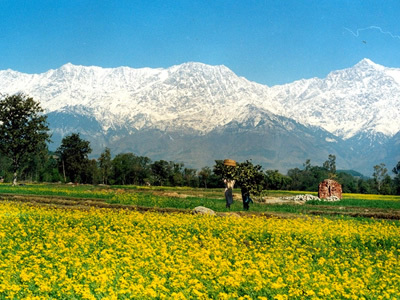 Palampur was a part of the local Sikh kingdom and later on came under the British rule. 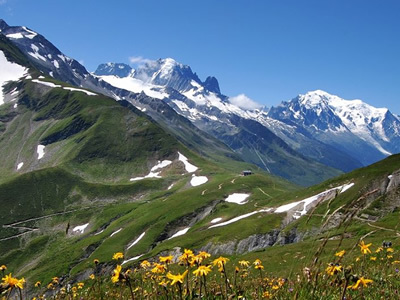 The scenery presents a sublime and beautiful contrast- the plain presents a picture of rural loveliness and repose, while the hills are majestic. 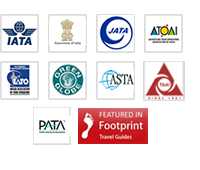 Situated in and about the middle of the Kangra Valley, it is convenient base to explore the surroundings. 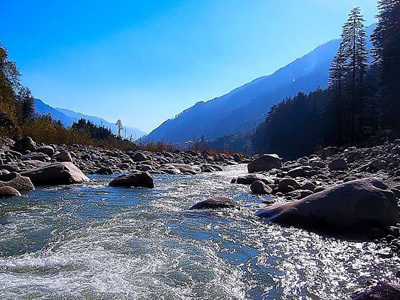 The Kullu valley has an ancient town in its lap called Manali. 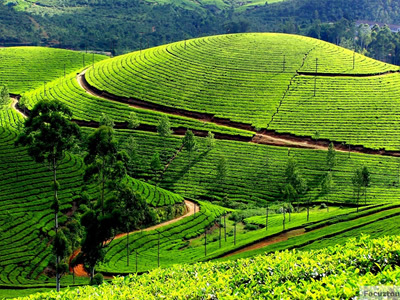 It is a flourishing orchard industry, a popular honeymoon destination and trailhead for numerous treks as well as a great countryside ideal for adventure sport lovers. Manali literally means the 'Home of Manu'. Manu is the mythological character who is supposed to have survived when the world was drowned in Flood. He then came to Manali and recreated human life. 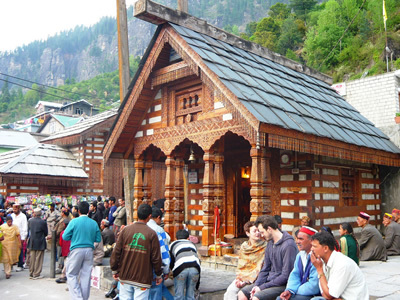 Thus, the area of Manali is sacred and Hindus treat the temples over here as pilgrimage. This pass is an ancient trade route between the people on either side of Pir Panjal. This is suggestive of the fact that this must have been the oldest and most frequented pass in the region. Visit to Hadimba Devi Temple, Vashisht Temple (Famous for sulpher hot springs and wooden hand work), Tibetan Monastery, Roerich Art Gallery. Drive to Chandigarh to board train for Delhi.